Here I am in Denmark, after leaving my native France and my beloved cheese (our reunion will be intense all the more). It looks like a hard challenge but it’s not actually, because I found one of the most welcoming countries. I’m Capucine and I come from Paris where I’m studying space design. By space design I mean several fields from scenography to urban planning, from the scale of furniture to the scale of urban areas. So I’m used to being confronted with different types of challenges and I feel good with that. Since my 11th birthday, I knew that my future was in applied art and I decided to specialize from high school. I passed my applied art A-level and decided to pursue my studies in space design in Paris. With HND (2-year vocational degree) in my pocket, I continue my studies with the object of finding my own approach of space design and experimenting with different ways to represent a project. 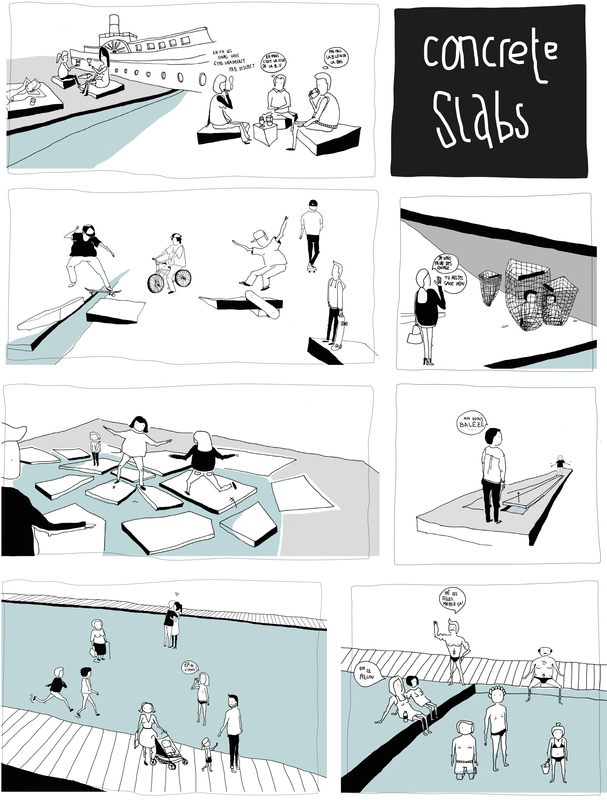 Fond of comics and illustration, I’ve started to develop graphic skills that provide me more pleasure to produce. Although I am not involved in politics in a classic way, I believe that my work can be a way to get involved in taking a more political approach to the world, and to do concrete things. 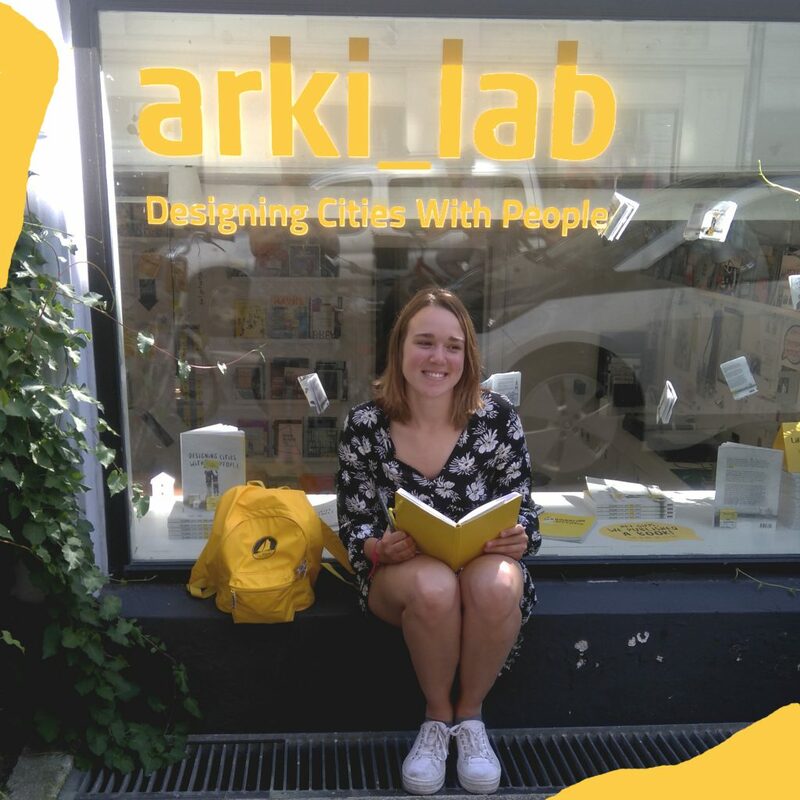 I think that arki_lab will help me to understand what real social action is. Coming to Copenhagen was an obvious choice. I wanted a place where I could see a different way of life (and a better one), where design and architecture are innovative and maybe because I’ve heard that Danes were the most happy folks in the world, so I had to discover their secret (and also because I’m fond of travelling). I went to Copenhagen in February with the purpose of finding my internship there. During a walk through the streets of Nørrebro, guided by a friend of mine, I passed the arki_lab office and I was attracted by the windows where drawings were displayed. I think that the name caught my attention too. « lab », a word that expresses so many positives notions. Then I discovered their work on their website. It was exactly the kind of architectural approach that I wanted to be involved with. A few minutes later, after a good latte in one of the sweetest cafés I’ve ever been in, I was knocking at their door with my CV and my book. A few months later, here I am again. Summer has chased the winter away. Life in Copenhagen has never been so sweet. I started my internship a few days ago. I will mainly bring my illustrative skills to improve some visuals on the website and some printed material. This way I can also read many things about their work and learn more about their approach and tools that they have created and applied. I’ve already learned a lot. In my opinion, arki_lab symbolizes the research on the Danish quality of life. Their approach stirs up a hornet’s nest as it challenges typical architectural processes. It brings the fresh air that we needed. Even if a democratic process starts to appear in everyone’s mind, nobody has established tools and experimented as they have. arki_lab’s process shows how important communication is between the citizens that are going to use the space and the architects. I believe that arki_lab’s achievements show how the city should be as a palimpsest, where things need to be rewritten permanently.